The new website murlengine.com is online and the first open beta version of our multimedia framework “Murl Engine” is ready to download. You can download and use the framework in order to realize your ideas and visions completely for free – regardless of whether you develop commercial or free applications. The multimedia framework “Murl Engine” is a professional and powerful tool allowing a fast and easy development. It helps you to realize your creative concepts while maintaining absolute freedom and technical control over your product. See for yourself! 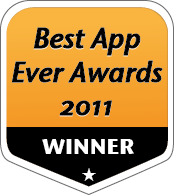 Winner of Best App Ever Award in the category Best Family Game 2011! Designer Legend David Jaffe listed Crazy Rings among his personal Top 10 Games of 2011 and Appsized.com voted Crazy Rings XL as one of the Top 10 iPhone and iPad Games of 2011. 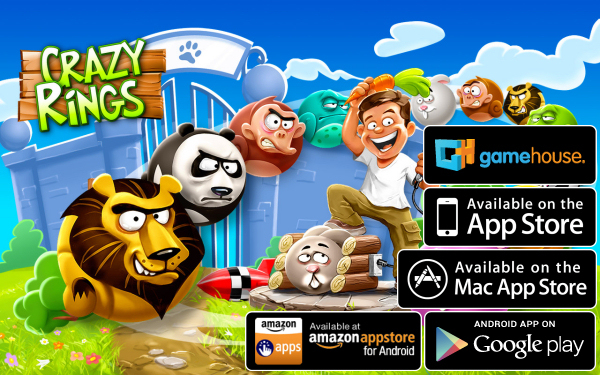 Nominated in the categories "Best Mobile Game" and "Best Handheld Game" of the German Game Developer Award 2011. Crazy Rings has been developed by Cervo Media in close cooperation with Spraylight. The Game is based on Spraylight's multiplatform multimedia framework murl engine. Further information, screenshots, wallpapers and much more can be found on the website www.cervomedia.com/crazyrings.